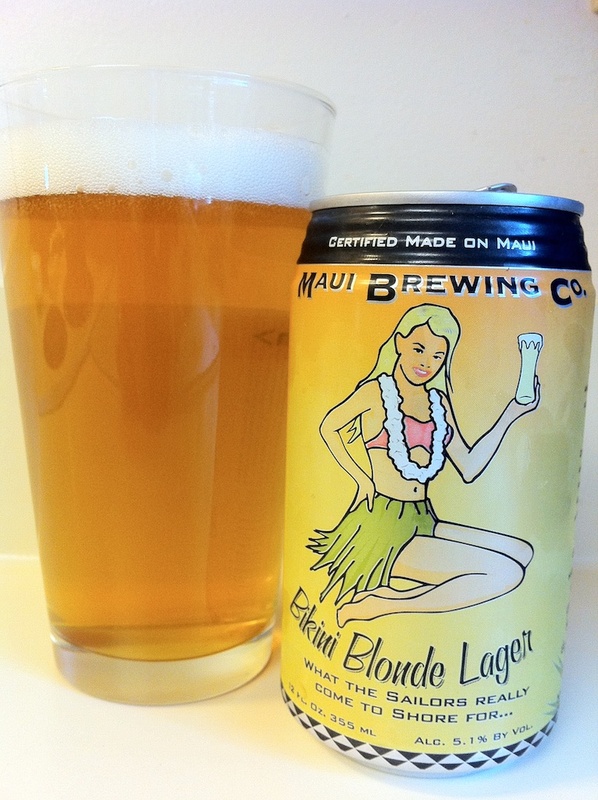 Maui Brewing Co’s Bikini Blond Lager pours up nicely, but the can caused a little bit of dipping back down the can. The appearance is very nice with a head that fades to mild lacing. The color is a clear golden wheat (SRM of maybe 5 or 6). The aroma is a mellow maltiness with a little hops floral tones mixed into it. The tastes has a little nuttiness within the malt flavors. The hops profile is very mild as I expected. Overall, this is a very enjoyable beer. The ABV of 5.1% makes this beer good for a relaxing afternoon on the deck after cutting the grass or for blowing off cutting the grass. 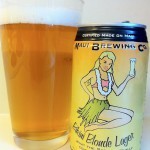 This entry was posted in Brews and tagged Maui Brewing Co. by Brian Allen. Bookmark the permalink.